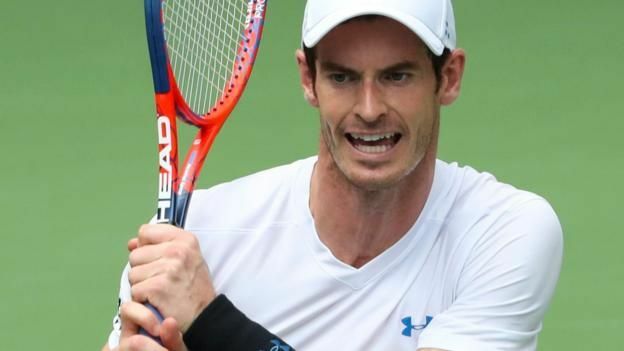 Andy Murray’s Grand Slam return ended with a second-round exit at the US Open on Wednesday, but the former world number one found reason for optimism in a four-set loss to Fernando Verdasco. “I think some of the tennis I played today was some of the best I’ve played since I had the surgery or since I came back,” Murray said. “There were also periods in the match, especially in the first set, where I really didn’t play particularly well. With both players clearly feeling the effects of searing heat, Murray was pleased to have the stamina to push Verdasco at the end, forcing five break points in the final game before the Spaniard finally closed it out on his third match point. Murray struggled for months with his injury before having surgery this year, and he admitted that he’s wondered whether he would be able to return to the game’s summit. “You just don’t know,” the 31-year-old said. “When I got the injury, I was ranked number one in the world. Twelve months later, things completely changed. In the meantime, Murray is in the unfamiliar position of entering events not knowing what to expect. His return to the US Open after a year’s absence, along with that of Novak Djokovic, marked a reunion of the game’s “Big Four” of Murray, Djokovic, Roger Federer and Rafael Nadal. But Murray candidly admitted coming in he had no real expectation of winning, and he was pleased to find himself standing up to the physical rigours of best-of-five-set matches in extreme heat conditions. Irked at dropping a first set in which he had a set point at 5-4, Murray said a more aggressive approach led to too many mistakes. “It’s difficult sometimes to get the balance when you haven’t played as much matches, haven’t practised as much as you would like. It’s difficult to always make the right decisions when you’re on the court, playing more offensively. “It’s something that is going to take a bit of time getting used to again.